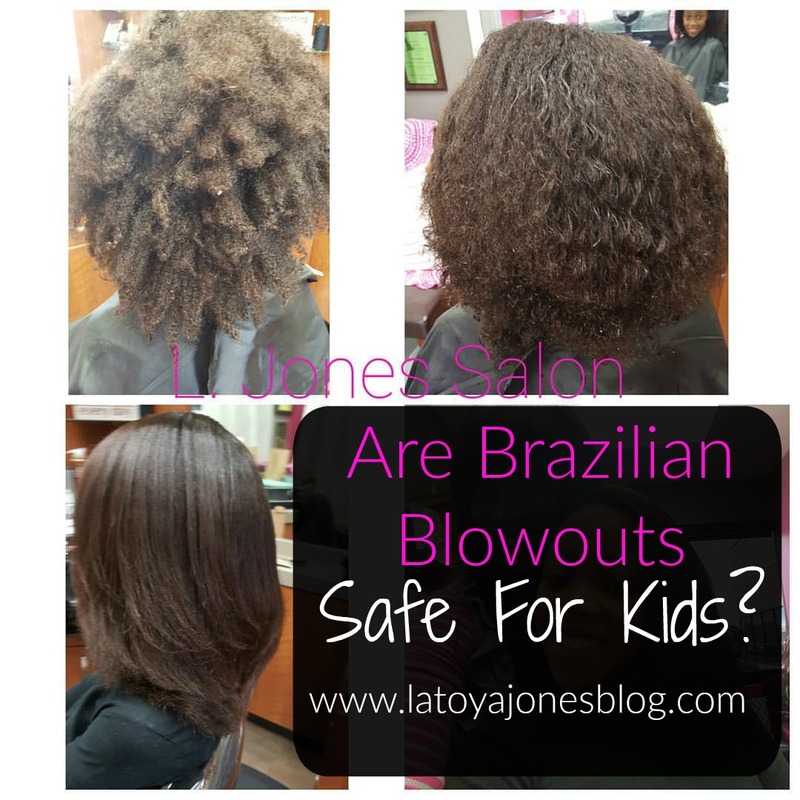 Are Brazilian Blowouts Safe For Kids? 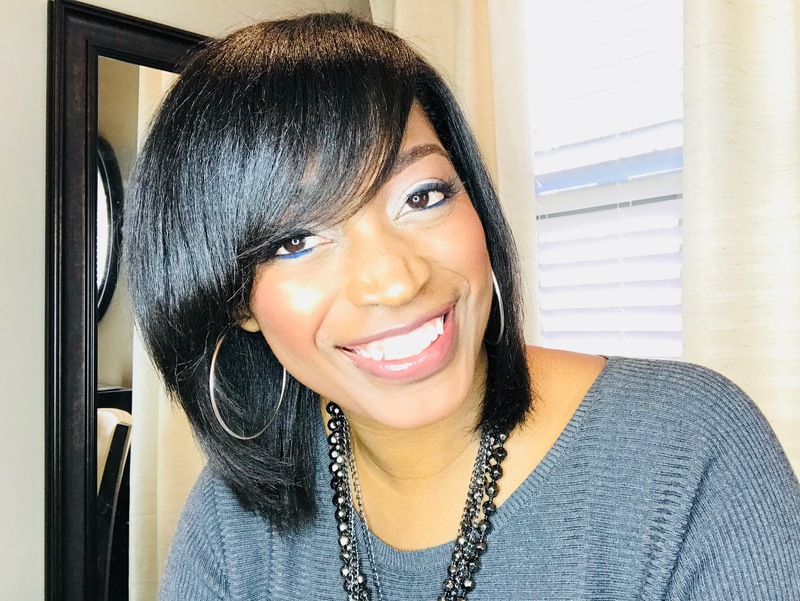 Brazilian blowouts have become more and more popular among my natural clients. They all want their silk press to last just a little bit longer but have no idea how to make that happen. They are also tired of having their hair be controlled by the weather. 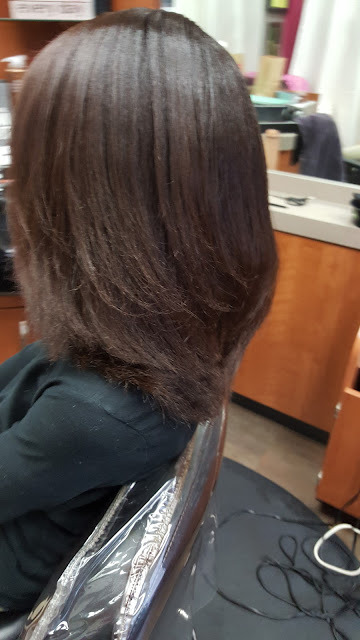 Many of my adult clients that get the Brazilian Blowout come back later with their daughters for them to get the treatment as well because they love the results which leads us to today's topic. Are Brazilian Blowouts safe for kids? a regular silk press may not stand a chance of lasting long enough for the parent to get their money's worth if the child is active. 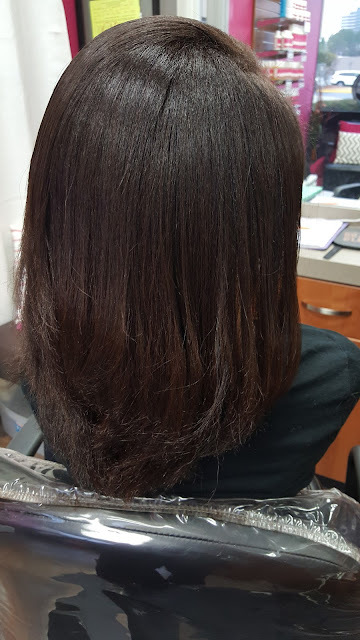 Brazilian Blowouts are like having the best of both worlds because they last longer than a regular silk press but they are not permanent. They kind of put you in the mind of a semi permanent color. Semi permanent colors fade after each shampoo and over time its completely gone and you have to get another one. The same concept applies for Brazilian Blowouts. 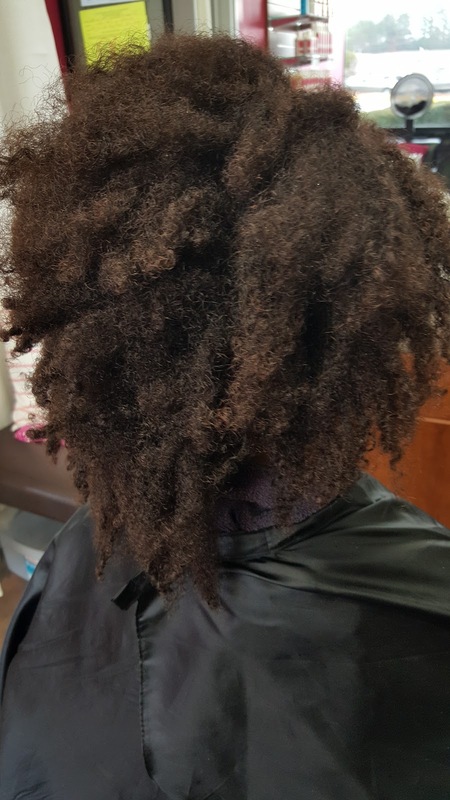 Over the course of three months it gradually fades off of the hair. By the time the three months (roughly twelve weeks) is up, the hair returns back to its original state and its like nothing ever happened. During those three months your hair will be much more manageable and much straighter. 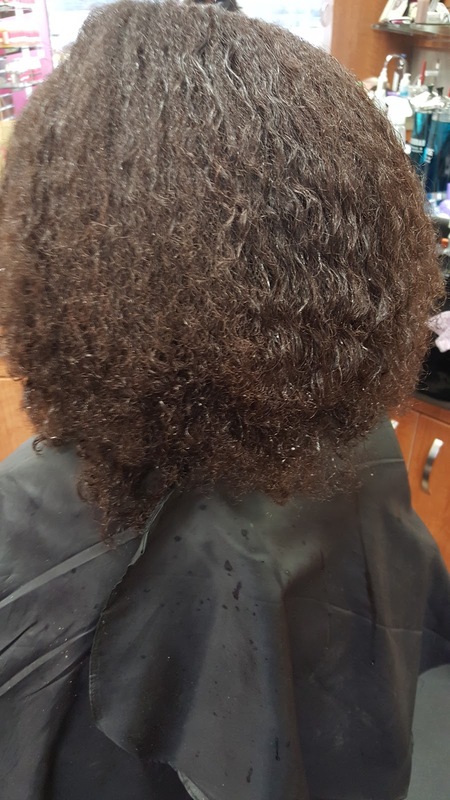 If you did not want your hair to be straight you could also get it to where it slightly loosens your curl pattern to give you the perfect wash and go. During the time your child has a Brazilian Blowout, you can still style their hair like you normally would. It does not have to be straightened all of the time. If you want to still braid it, put it in ponytails, or pull it up, you can. 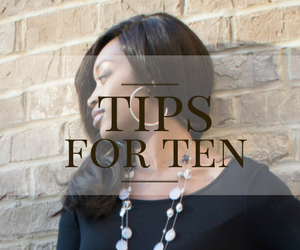 It will just cut the time you usually take to do those things in half! For maintenance of course Brazilian Blowout suggests that you use their products on the hair. 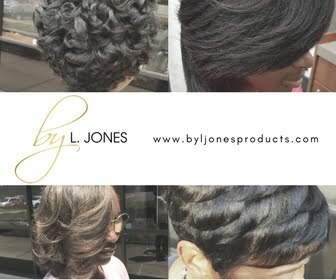 If you do not have access to these products I suggest a sulfate and paraben free shampoo (like Silk Hydration by L. Jones) to help your results last. Shampoos with sulfates can strip the hair and make the treatment wear off faster than the intended results. I know what many of you are thinking right now. 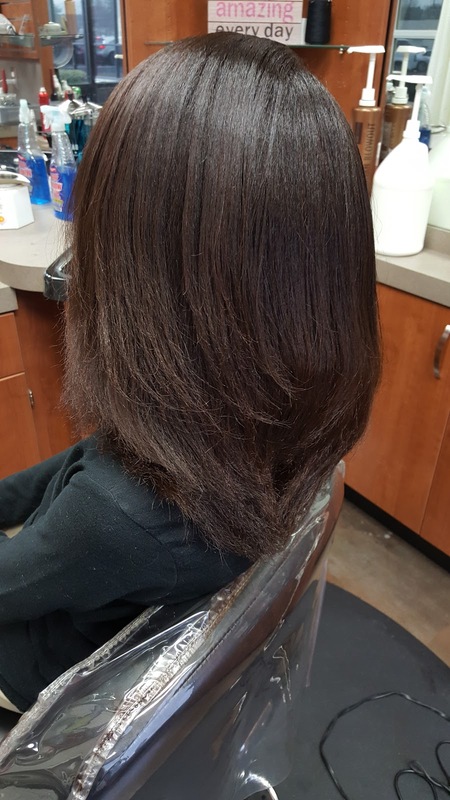 If the Brazilian Blowout is so safe for kids can you do this treatment at home to your own kid or do you have to come to a salon? Well, even though it is not harsh it is still a chemical so take your child to a salon to have this done! 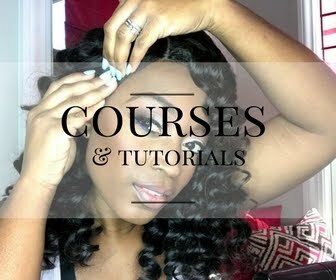 Also, when I went to go get certified in doing Brazilian Blowouts they taught us a lot of techniques that are not even listed on the instructions that come with the kit. So even if you were to purchase this and read the directions from front to back you still would not have all of the information that you need! Bottom line, save up those coins and get it done right. The last thing you want to do is mess up your baby's head!